So, I enjoy telling a good story as much as the next guy, and this one was actually the subject presented by my professor in an air pollution course I’m enrolled in. I might have been the only one taking notes on this, because it was meant to merely illustrate an argument, it’s historical, and an interesting piece of history worth sharing. So, in the early 1990s, The Vet School over on the East Campus had a problem. A large number of carcasses were being generated daily. Dissections, disease studies, putting some of the farm animals to sleep, etc. So on any given day, thousands of pounds of carcasses were being produced, and they had to be disposed of. Well, Cornell, for all the things it does have, does not have an incinerator for cremation on any of its properties. So they would have to ship the carcasses out in container trucks with hazard labels and send them to an incinerator elsewhere in the county, where they could be properly disposed. As you might imagine, this built up quite a hefty amount of fees over time. So Cornell began to explore their options to alleviate the problem. Well, the proposal that seems to work best was to build a waste disposal facility for the animal carcasses directly on the property. The site that was determined to be the best fit was just to the east of the Vet Research Tower. At this time, the Vet Hospital’s main building and the East Addition didn’t exist, so the complex was mostly barns, the tower, Schurman Hall and the scattered add-ons that comprised the property. The red square below was the approximate location for the project. The Vet Tower is a fairly large building, as it stands about 140 feet tall. So, in order to build the smokestack, the design had the smokestack stand about 180 feet tall, more than enough to clear the building. Well, it went ahead in front of the town of Ithaca, and the residents of the neighboring hamlet of Forest Home had a fit. They’d be damned if they had to look at a giant smokestack from Cornell. So Cornell paid an engineering firm to survey the land from notable viewing radii to see if the structure would impose on the residents of Forest Home. Sure enough, if did, but only just barely. It was determined that if the design was shorter, it’d be okay. So, Cornell proposed changing it to 160 feet. But, there was another issue with that. Bradfield Hall, just up the road, stands 167 feet tall. And the top floor has windows (ironically enough, the atmospheric science department is housed at the top). So, that wasn’t going to fly unless Cornell did an air pollution study to prove it wouldn’t affect the occupants of Bradfield. Well, here’s where we get into an issue. 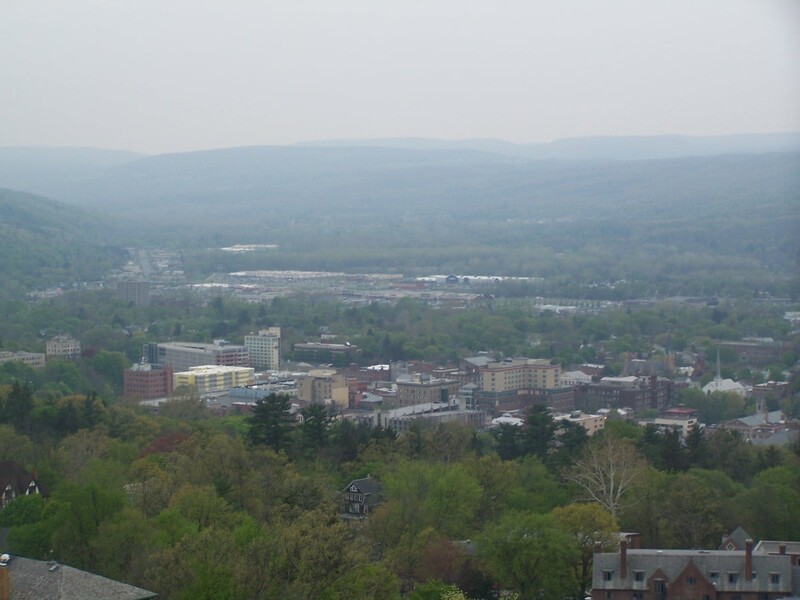 The company they hired, a New York-based engineering firm, decided that the air circulation patterns in Ithaca were the same as Syracuse. Syracuse built a power plant only a couple years earlier, so they decided to reuse the same data and apply it Ithaca. 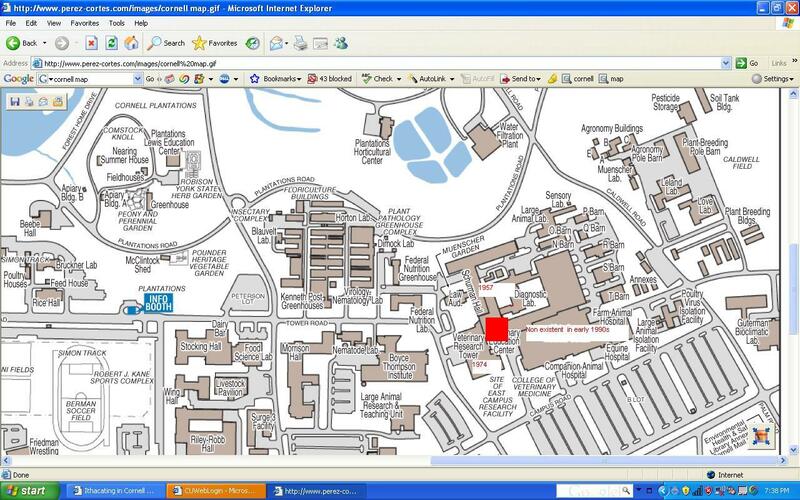 Essentially, they tried to swindle Cornell by selling them false data from another location. Winds generally blow out of the west in Ithaca. However, in the situation where they would blow out of the east, as during some stormy days caused by east-coast lows, the pollution cloud was going to push over to Bradfield Hall and towards central campus. This pollution would have particulate matter that would drift down onto Tower Road and the Ag Quad. Well, no ones wants to be snowed on by cremated animal ash. Even worse, if it blew out of the northwest at a particularly strong clip, it was going to drift right over Forest Home. The increased height would have allowed it to carry farther away, but the new shorter height would cause particulates to fall a shorter diestance away, and they would be more concentrated, to unhealthy levels. Well, the university didn’t know that at the time, so they bought the data. And it wasn’t until the final stages of the project that the mistake was realized (through an interdepartmental study independent of the project). 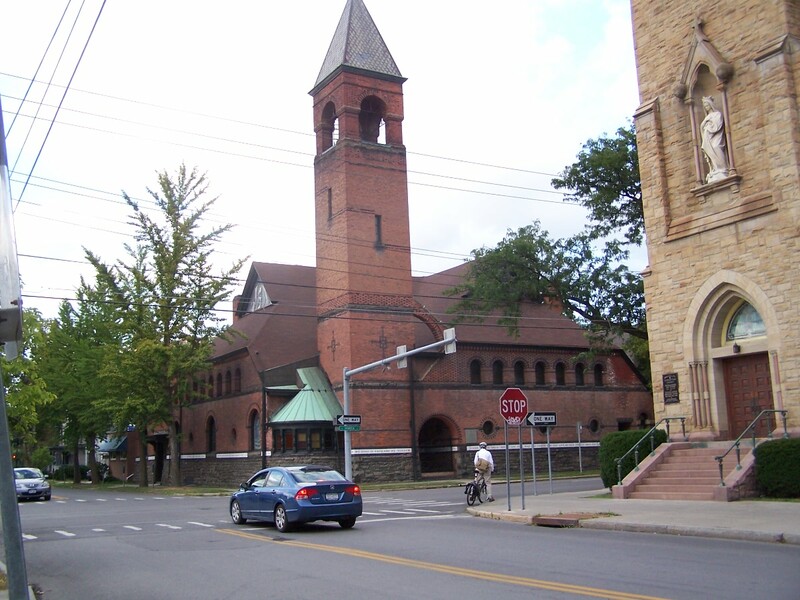 The Town of Ithaca wouldn’t give final approval in light of the news. Well, Cornell was just a little upset, so they decided to bring a lawsuit onto the company for their actions, and Cornell had to scrap the 160-foot plan. Well, due to the air ciruclation patterns and sight lines, a large smockstack just wouldn’t be suitable for their desired location. And Cornell was already set for a major expansion of the Vet School, so they scrapped the plan entirely. The Vet Education building, built in 1993, was the final incarnation of the incinerator project, in which there was no incinerator at all. And the large Vet Hospital would be built four years later, dooming any future proposal nearby. So, some of you might be wondering about the heating plant, which is to the south. The smokestacks there are outfitted heavily with scrubbers, so the vast majority of the smoke is water vapor, and not nearly as toxic as the smoke from the vet school smokestack would have been. And in other news, House 5 has been deemed “Flora Rose House”, after a professor who was among the first to staff the school of Home Economics (Human Ecology). The Cornell Daily Sun Building on West State Street. Notably, the Daily Sun was not the first newspaper on campus, but rather took the title from the Cornell Era, which was founded shortly after the school opened, and then after twenty years or so began to take a different direction (literary journal) that would lead it into obscurity and termination. The Sun also holds the prestigious title of being the oldest continually-independent college daily in the U.S. . I believe the printing press is on site, but if someone wants to provide a little more detail on that, please be my guest. 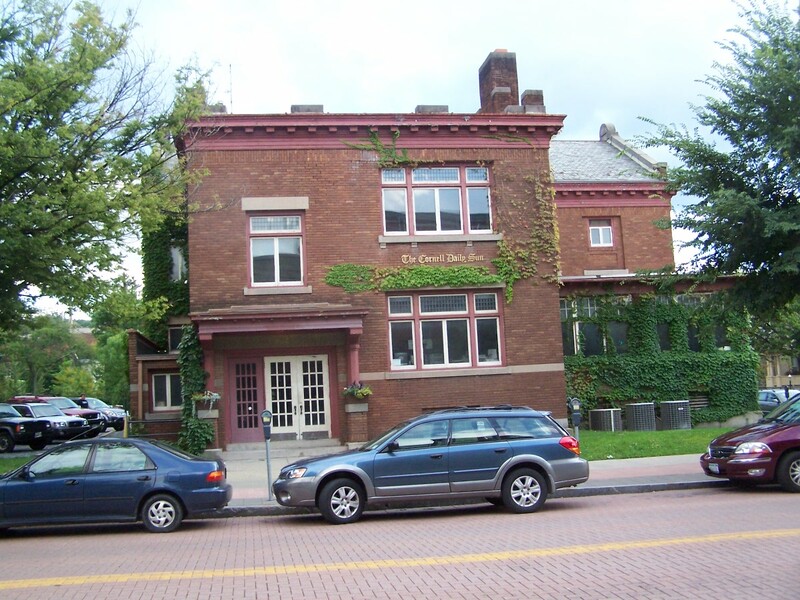 As for the building itself, it was built in 1916 and was the home of the Elks Lodge in Ithaca. The Daily Sun’s Alumni Association bought the structure in 2003 and completely renovated it over the next several months. The building also happens to be located next door to the Ithaca’s Journal’s offices (who don’t even print here—they print in Johnson City, near Binghamton ). 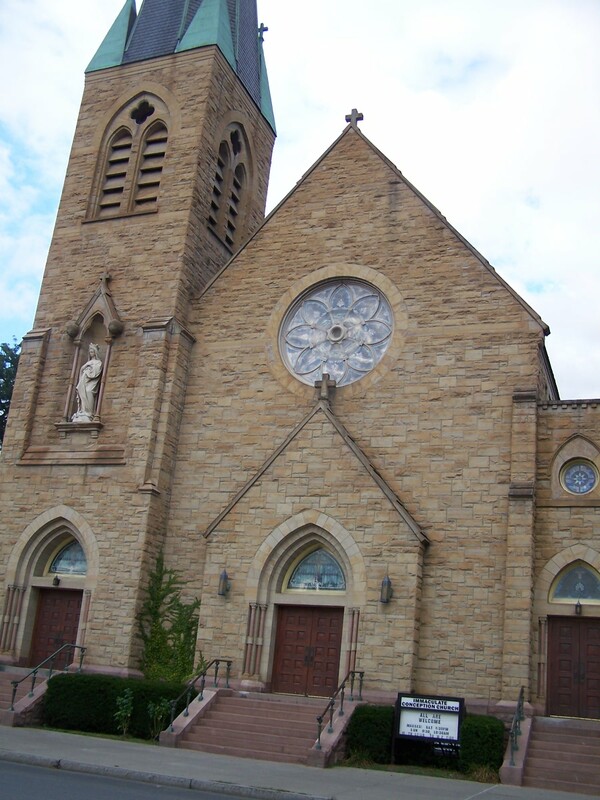 The Immaculate Conception Church is a Catholic Church in Ithaca that falls under the Archdiocese in Rochester. The building was constructed in 1898 and designed by architect A.B. Wood . Across the street is St. Catherine’s Greek Orthodox Chruch. It was constructed in the 1900s. 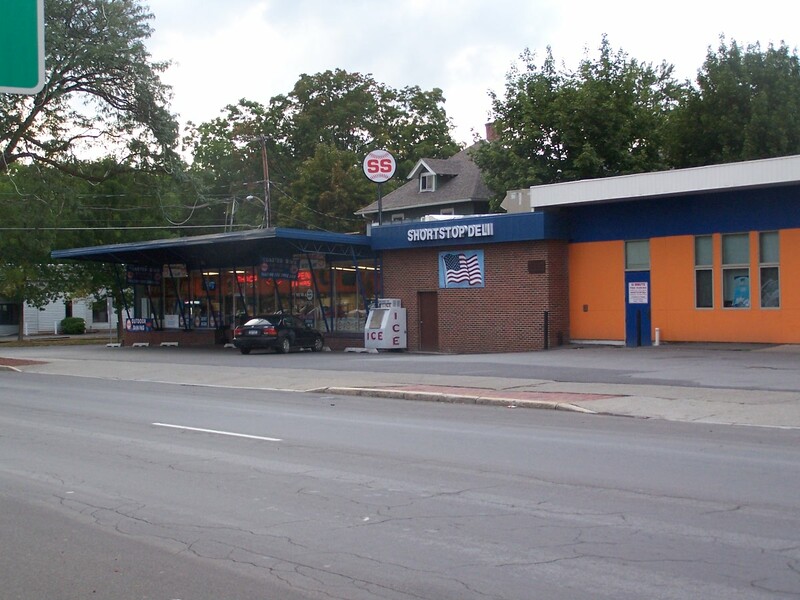 Shortstop Deli is a popular sub/deli/convenience store near downtown Ithaca. The Deli was founded in 1978 by Albert Smith , although by my guess the buidling dates from the 1950s. Shortstop is also the company that owns The Hot Truck. 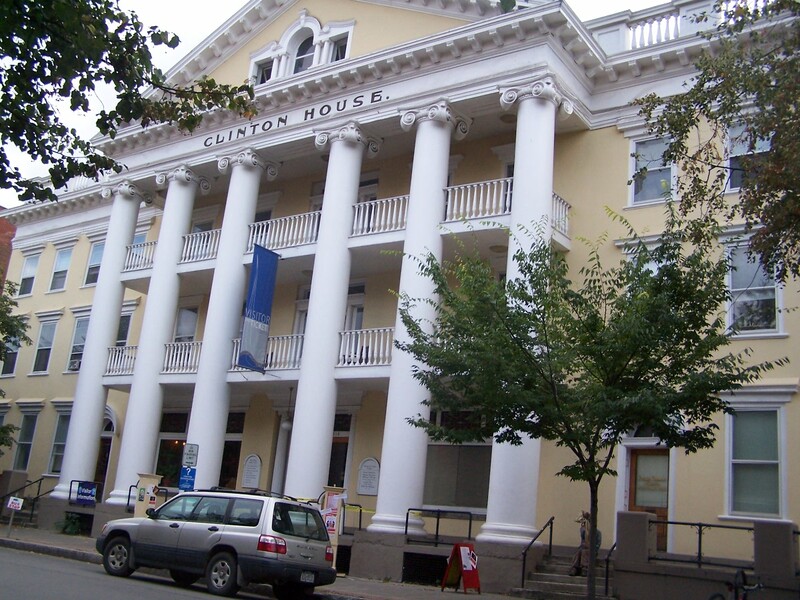 The Clinton House was built as an upscale office and hotel building in 1828-1829 . Designed by Ira Tillotson, it is named for NY Governor DeWitt Clinton (DeWitt Park is up the street). The building has been renovated numerous times in its nearly 200-year history, which is clearly evident by the glass wall stairway addition in the rear of the structure and the colonial details that were added in a 1901 renovation of the building, after a fire destroyed the roof and upper floors. The building underwent renovations again in 1985-1987 and more recently in the mid 2000s, returning Clinton House to it’s “1852-1862 era appaearance”. The building is maintained by the NPO Historic Ithaca, but the last I heard they were seeking to sell it to a willing buyer. Admit it, you’ve thought about going here if you haven’t already. 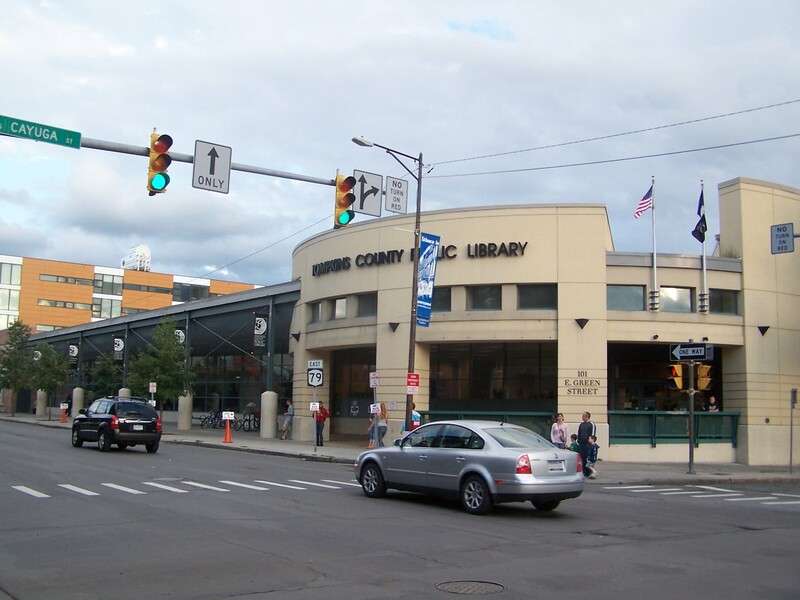 The Tompkins County Public Library (TCPL) on Green Street. The building was originally a Woolworth’s department store until it closed in 1998, and it was renovated into the library space in 2000. Prior to that time, the library was located about five block farther north in a ca. 1968 building. The first library was a gift from Ezra Cornell to the city, but later went into private use, and it was torn down in 1960 . So I had a special request for this photo. 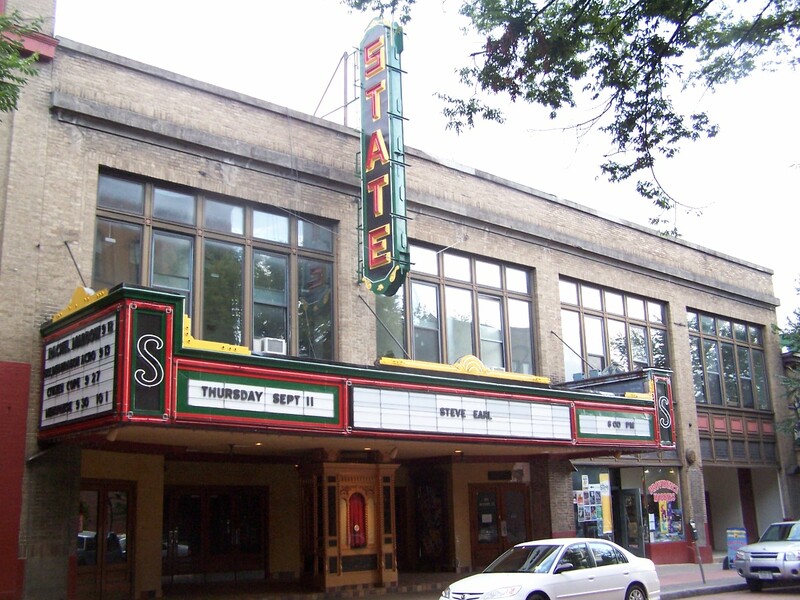 The State Street Theater was originally built as the Ithaca Security Garage Auto Company and Dealership, built in 1915. The building was renovated into a theatre by the Berinstein family and opened as a theatre on December 6, 1928. Due to changing times, the theatre struggled to remain open past the mid-century and closed by the 1980s. Slated for demolition in the mid 1990s due to a number of structural and health concerns, a grassroots effort to resotre the theatre took hold, and enough funds and renovated were completed in the late 1990s that it was reopened on December 5, 2001 . Today, the theatre continues a slow but steady renovation, and hosts a number of live acts from music groups to comedians. 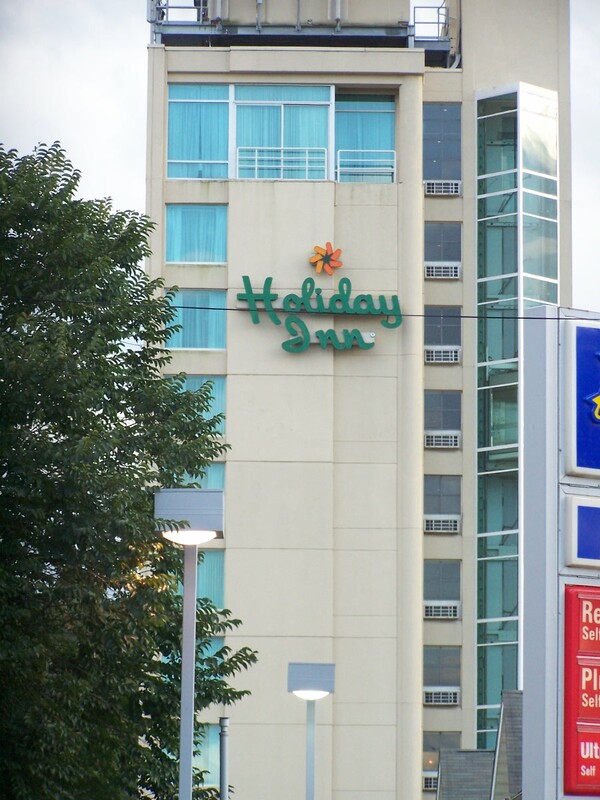 Yes, Ithaca has a Holiday Inn too. The low-rise portion of the building was built in 1972 as a Ramada Inn. The tower was built in 1984/85. 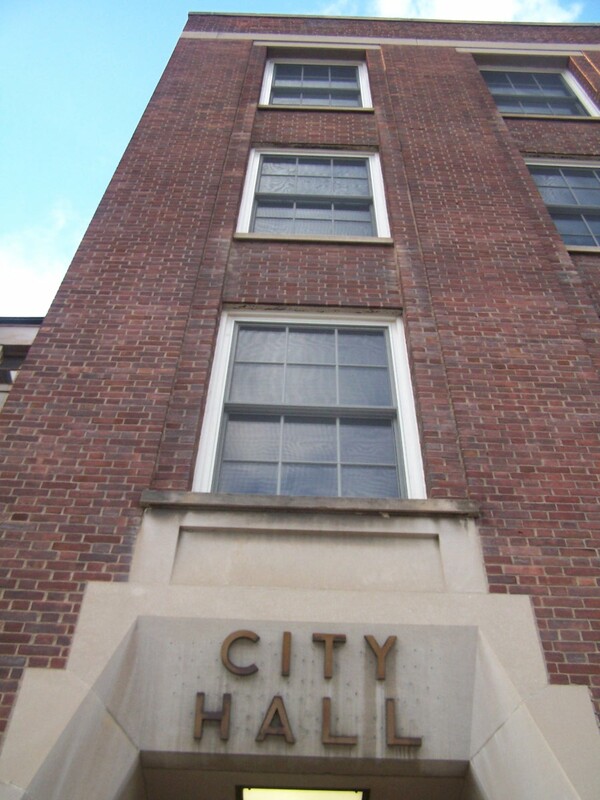 As I mentioned previously, the City Hall and Town Hall are two different structures for two different entities. City Hall dates from the 1930s. The original city hall, if you’re lucky enough to find an old photo of it, had the appearance of a country church. AoPi sisters confirmed Friday that their chapter will be closed as of the first of October, due to declining numbers within sorority rush. All current members will be moved to alumni status and allowed to live in the house until graduation. Once all current sisters have graduated, the intention is to reopen the house under a new set of women (this has been done with fraternities in the past. Pi Kappa Phi closed in 1986 and reopened in 1990, and Phi Kappa Tau closed in 1994 and reopened in 2000). So, the news, while unfortunate, isn’t surprising to anyone familiar with the Cornell sororities. AOPi was typically derided and demeaned, and as a result of the nasty jokes associated with the house, women tended to avoid having it as a choice on their bids. Also consider that sorority rush turnout was lower than usual this past year, and you end up with a situation where the house can’t get enough women to make minimum member quotas. I feel really sorry for the current active membership of that sorority house. This should really be a wake-up call to PanHel that something is amiss in the sorority system. Delta Phi Epsilon closed in 2003, as did Chi Omega. with Alpha Omicron Pi shutting down, this results in a net loss of two sororities in the past five years (PanHel selected Alpha Xi Delta to open on campus in 2004). With eleven left, is this really the system that they want? When some sororities have 140 women, and AOPi is closing with about 30 members left, as regulated as the system is for women you’d think the numbers could be a little more balanced. 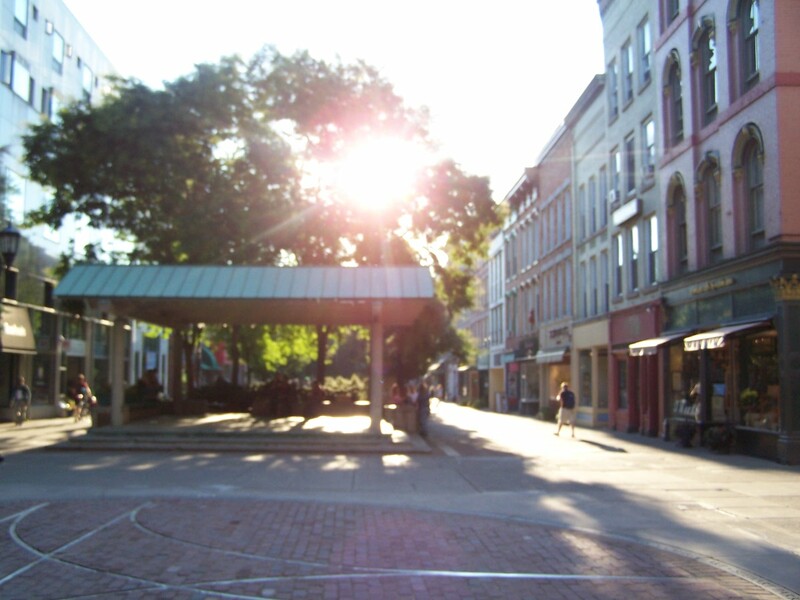 Information that might be worth knowing about Downtown Ithaca, so you can impress your friends by making it sound like you actually leave Cornell and Collegetown. 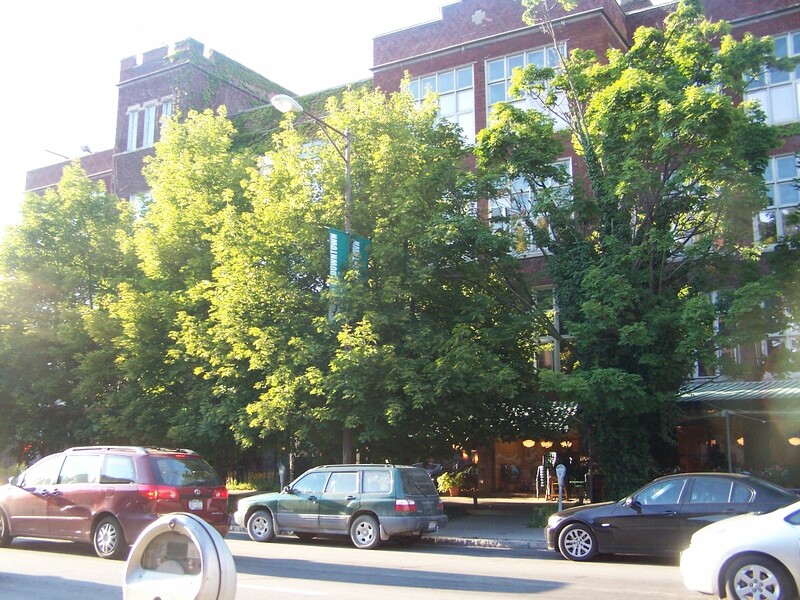 Built in 1914, the quirky DeWitt Mall (named for Dewitt Clinton) formerly served as the city’s high school before the new facility on Lake Street was built in 1960-61. 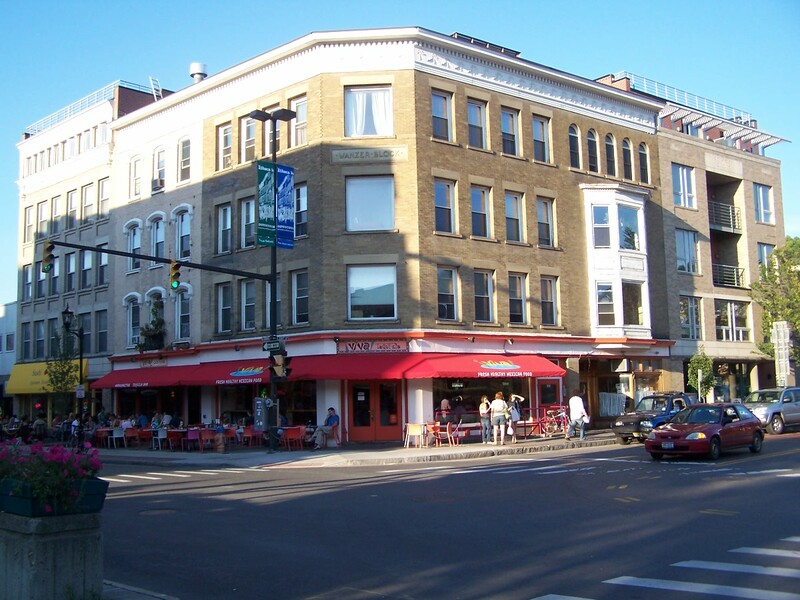 Apart from having a bunch or quirky shops and stores, the building’s sub-street storefront is home to Moosewood Restaurant (est. 1973 ) of vegetarian dining fame. Seneca Place on the Commons is one of the largest buildings by gross area in downtown Ithaca. The 121-ft. tall, $32 million building was completed in 2005 by Criminelli Development . It houses 100,000 sq. ft. of offices (Cornell is the primary tenant at about 70,000 sq. ft.) and a 104-room Hilton Garden Inn . Starbucks and Kilpatrick’s faux-Irish pub make up the ground floor retail. The site was previous home to a parking area and two low-rise buildings. The beige box on the left is the Community Bank Building, which was built about 1981. The previous structure on the site, a four-story YMCA building, burnt down in a reported arson in 1978. 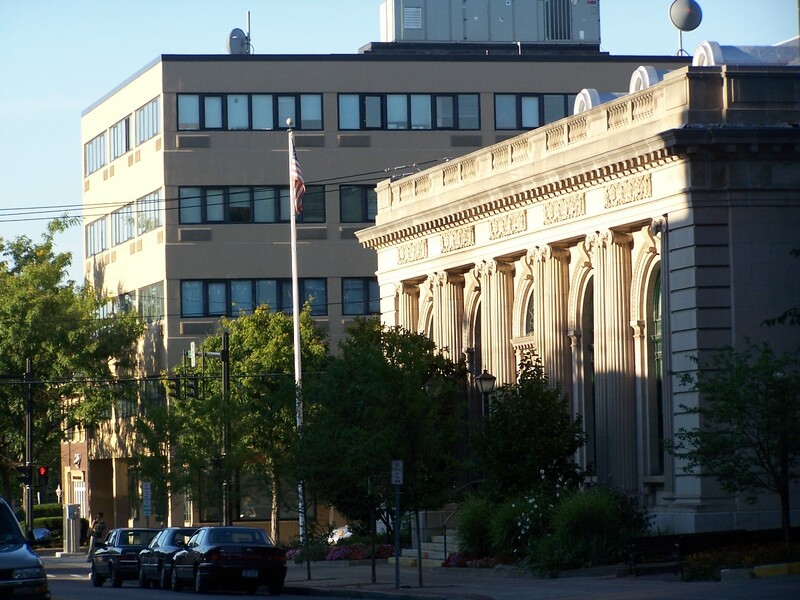 The building on the right is the older portion of the Ithaca Town Hall (not that it’s not Ithaca City Hall, which is another building), which dates from 1858. Prior to renovation in 2000, it was the (vastly underused) main Post Office in Ithaca. 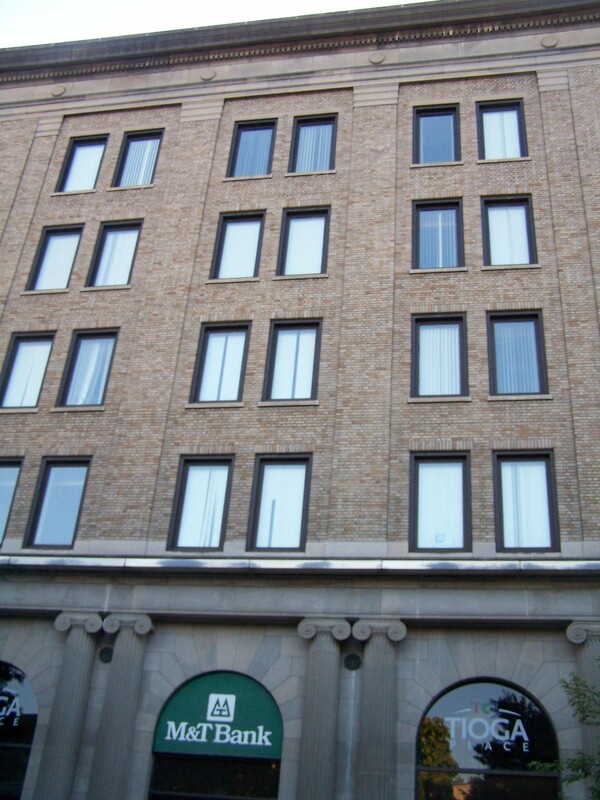 The M&T Bank Building, formally known as Tioga Place, was originally built in 1924 . The awkward addition, like a piece of food stuck between someone’s two front teeth, was built on a half century later. Center Ithaca, on the Commons. The building was built in 1981. It was an early attempt at a mixed-use structure designed to take advantage of the Commons and to make the area more lively. Well, didn’t really work out as planned. Rothschild’s, a department store that was the ground-floor anchor, closed early on. The 62 apartments were difficult to rent out at a time when downtowns were still considered dangerous places to be. And it ran over-budget, pushing its developer and the cash-strapped city into financial hell. Today, the building has worked out most of its kinks, but it didn’t fulfill its original goal, so it worked with mixed results. Token Commons shot. 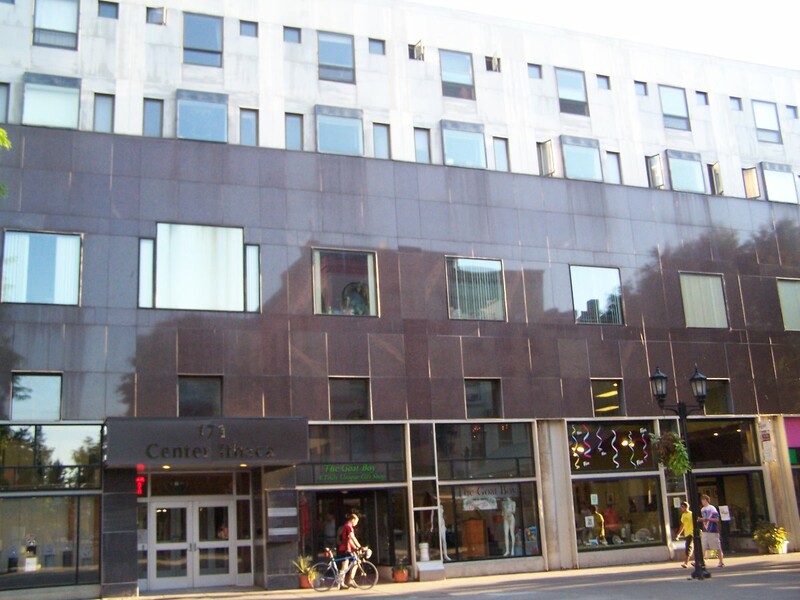 Completed in 1974 on what was a part of State Street, the Commons was the brainchild on Thys Van Cort, the recently-selected city planner. Pedestrian malls were all the rage in the 1970s; most closed down within a few years. 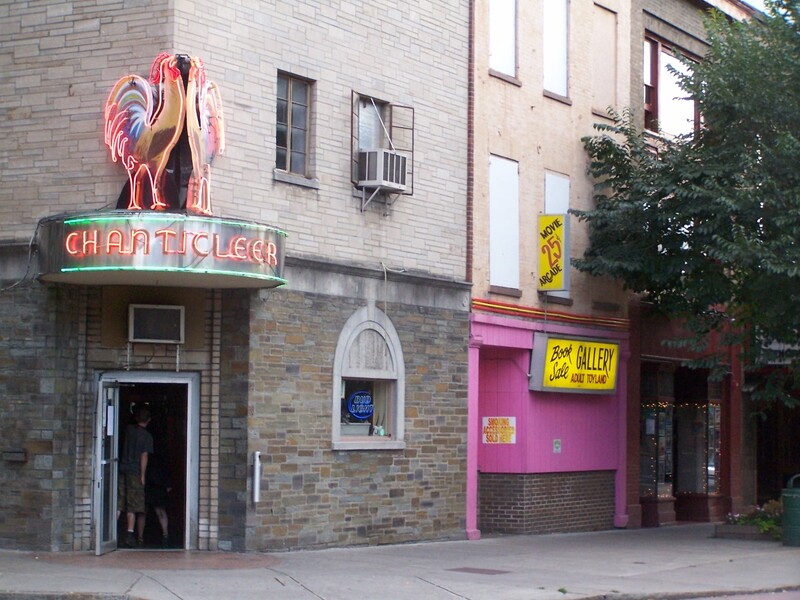 Ithaca’s has persisted, much to the delight (or loathing) of locals. Talk around, and you’ll find some adore the Commons, and some want it turned into a street with parking on the sides. Whichever you prefer, it’s there for the time being. The tracks in the foreground mark where the streetcars used to turn in the downtown area before they closed in 1935/36. The foreground building that houses Viva Taqueria is the Wanzer Block, which dates from 1905. 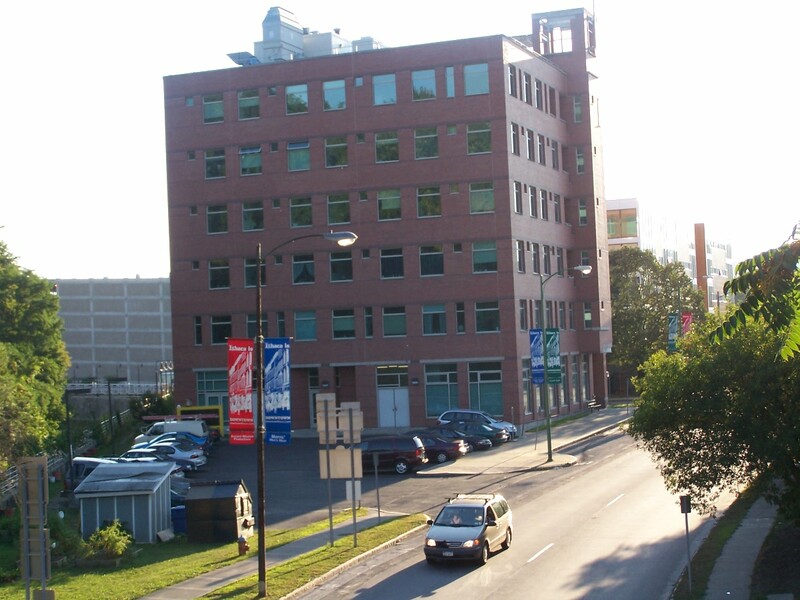 The building that hugs it in an L-shape is the Roy H. Park building, which was built in the 1990s. 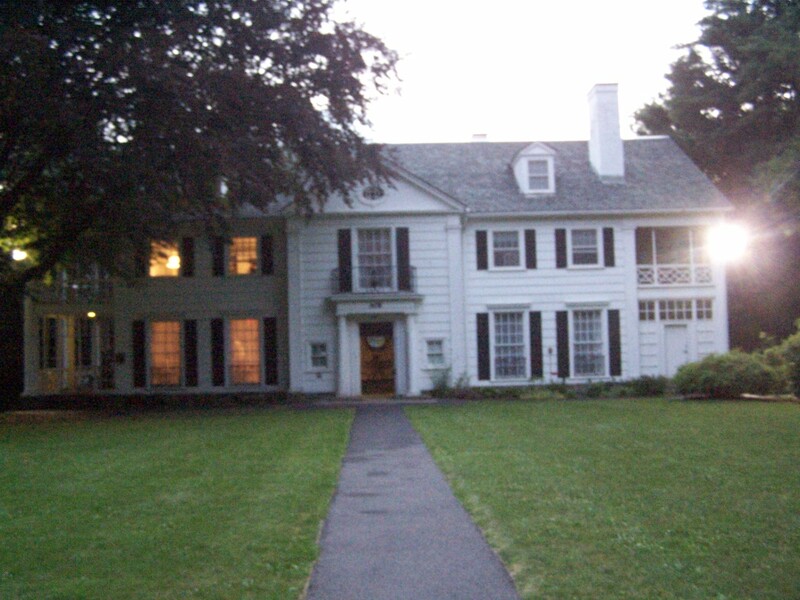 Roy H. Park was an Ithaca-residing executive for Proctor & Gamble who was also a substantial donor and investor in Ithaca College and the surrounding area. For now, it’s a parking lot. By 2010, as long as things stay on schedule, this will be the site of a 9-story, $17 million, 102-room Radisson hotel by Rimland Associates (rumors have it to be a Radisson, but it will be a recognized chain that occupies the new building) . 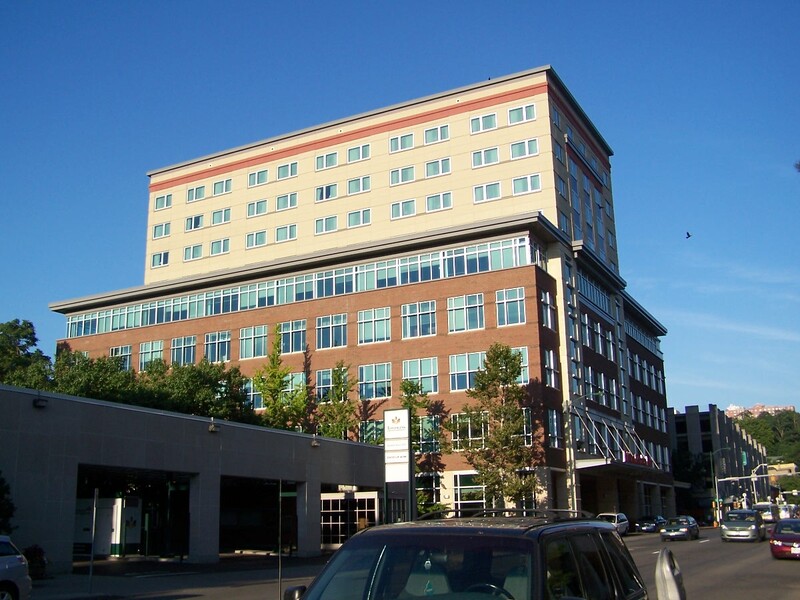 The center building is the Tompkins County Health Services Building, constructed in 1990 . On the right is the nearly-finished Cayuga Green Apartments, a 59-unit building that will house Cinemapolis on the streetfront. 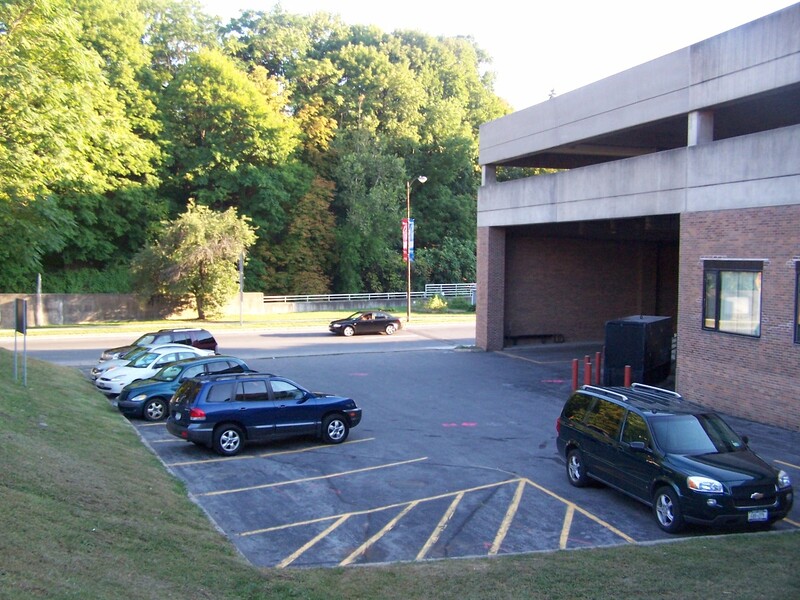 The Parking garage on the left (built in 2005), will see the addition of a seven-story, 30-unit condo tower (Cayuga Green Condos) on the backside (the side facing this photo). I know, bad photo, but it’s visible most everywhere else in Ithaca City. 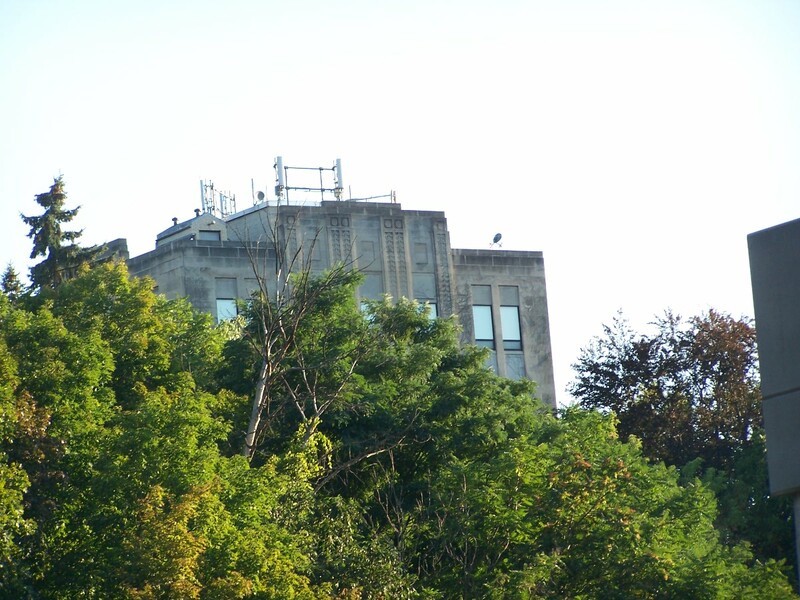 Limestone Tower, built in 1932, is slated for an apartment conversion and renovation by the Ithaca Rental Company and its head, Jason Fane. The building was originally built for the G.L.F. Exchange Farmers’ Association. Just outside of downtown is the William Henry Miller Inn. William Henry Miller, of course, was one of the first Cornell architect graduates, and also designed Uris Libe and Boardman Hall. 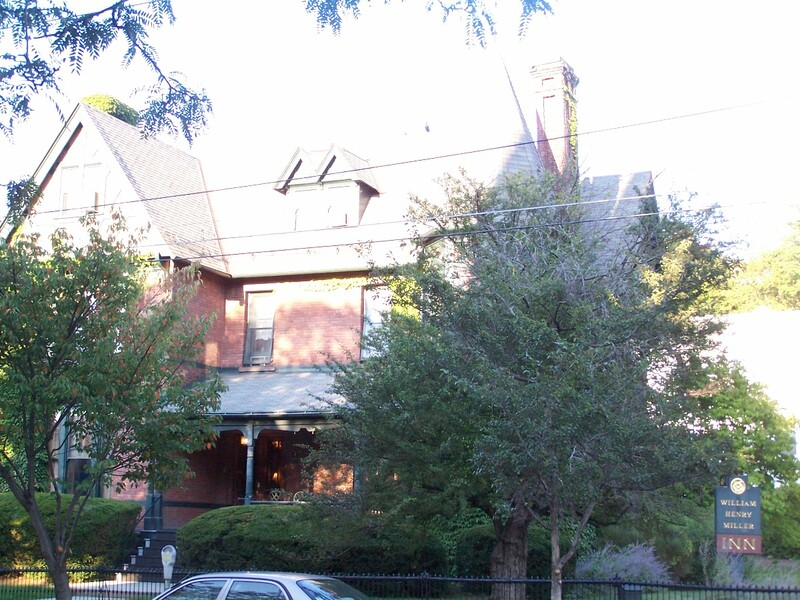 He designed this house and its carriage house, which were built in 1880 and 1892 respectively .